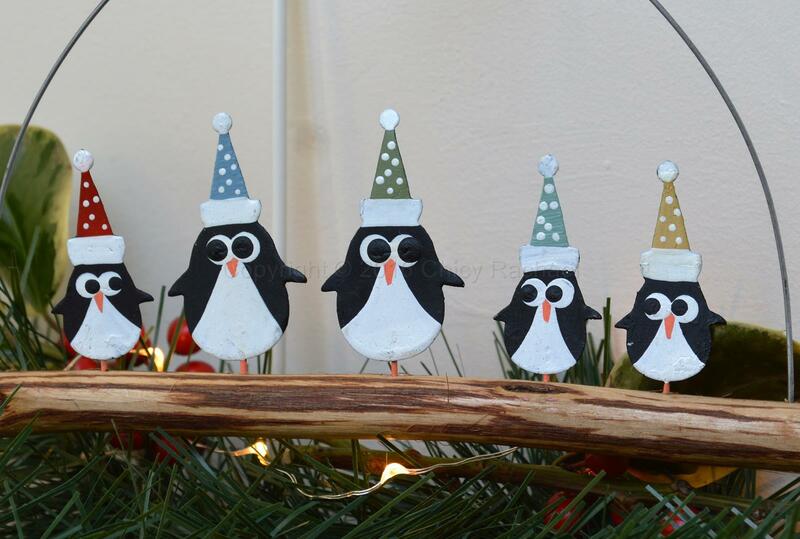 Super cute fun Christmas decoration of a family of penguins in different coloured spotty hats stood on driftwood. 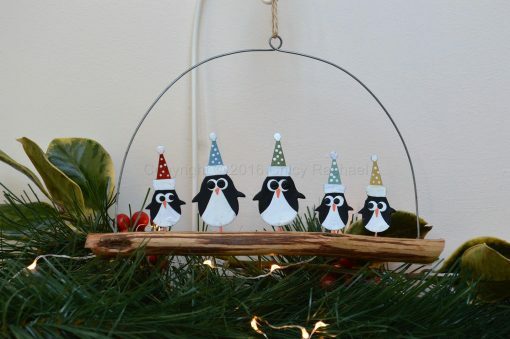 This is an adorable Christmas decoration would make a great addition to any Christmas décor. This would make a lovely gift for anyone. Please note that each one is different due to the nature of the materials used. The picture is a guideline of what you will receive.